In today’s tumultuous and rapidly evolving business environment, High-Potential leaders are in high demand. Do you possess the relationship skills, strategic vision, innovation, and determination needed to thrive as a high-potential leader in your organization? New York Times bestselling author Ram Charan answers that question and helps you hop on the fast-track to leadership success in this insightful guide. 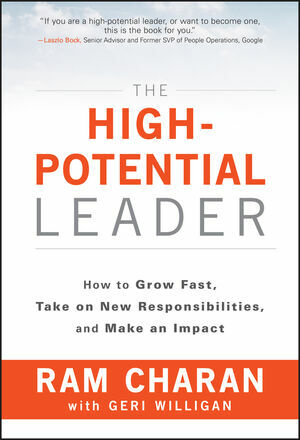 Whether you’re just embarking on your leadership journey or are ready to make the leap to the next leadership level, Charan’s real-world lessons and practical advice will help you discover who you are as a leader, chart your path, accelerate your growth, and ultimately, become the high-potential leader your organization needs to succeed.